Organised self-study, that is the ability to think and communicate in a structured manner, is an important part of almost all professions. Successful action requires thought that efficiently organizes facts, infers conclusions based on valid principles, and facilitates implementable guidelines for success. By regularly participating in study-groups, people can develop discipline it takes to excel in life. In past two centuries Western thought has witnessed greatest intellectual decline in the history of mankind. The ideas that led to science of Newton, technology of Edison, and politics that ended centuries of feudalism have been discredited. The decline has impacted education, government, corporate and medical institutions, news media, movies, and mental well-being of mankind in general. The ideas of Ayn Rand promise not just resurrection of ideas that make good things possible, but also build them further. And this study group will introduce you to ideas of Ayn Rand in most concise way possible. Whether its her life, her fiction works, non-fiction, or her activism; everything will be available for you to grasp. So to improve your thought process, please check the link that gives details of study-group. The study can involve writing summary, writing outline, detailed analysis or synthesis of select section(informally referred as chewing), or answering few / some / all of the questions I will post in the forum. Depending on the type of study, individual needs to spend 10 minutes to 1 hour per day. He can also complete his study in advance, and post on corresponding week. The study-group will be from "chapter 8" on "Ayn Rand" in the book "The Power and The Glory" by Burgess Laughlin. It starts on 29th June, 2015. Please note that participation is not possible without the membership of objectvismonline.com forum. August 29 last year Burgess passed away. 4th July, 2015 marks his 71st birthday. Burgess, as some of you might know was the non-fiction writer. He specialized in "History of Intellectuals", writing selective biographies of various intellectuals. Emphasis being on the development and dissemination of their ideas. He was also passionate about study-groups, and dedicated to the cause. Leaving behind treasure of various targetted discussions. 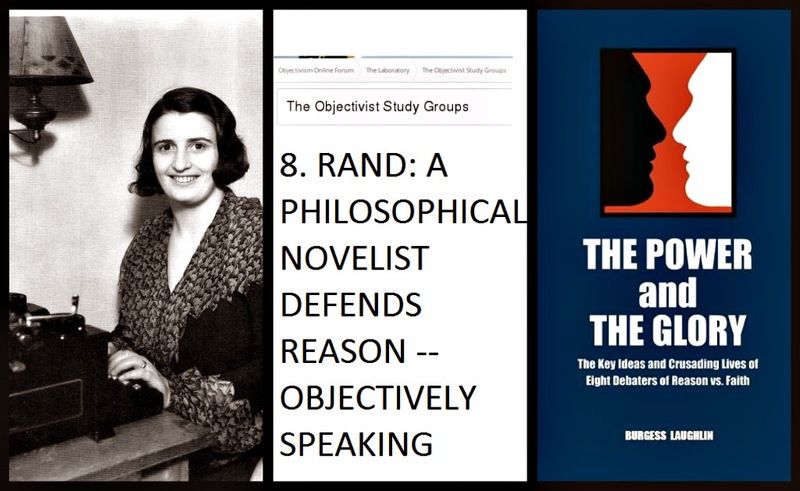 Of course, he was an Objectivist, an activist for reason using rational discourse. Therefore, the study-group starts on birthweek of Burgess. In the following thread, please post your intent to participate after objectivismonline.com sign up. The final study group will take place in a separate thread. Only those who volunteer here by posting intent will be allowed to post there. Posting the intent can be as simple as writing "I will participate". But from the perspective of overall objective of study-groups, which involves trading of ideas, I think it would be good if the volunteers post their motivations and personal objectives of joining. Further, it would be better if the volunteer gives his intellectual, academic and professional history. Here is a link to the forum where final study group will take place. Looking forward to an engaging study-group where we improve our thinking, understanding and knowledge.